Earn $5.40 in VIP credit (540 points)What's This? The SRAM Rival 22 Rear Derailleur brings the wonders of 11-speed riding to a much lower price-point. 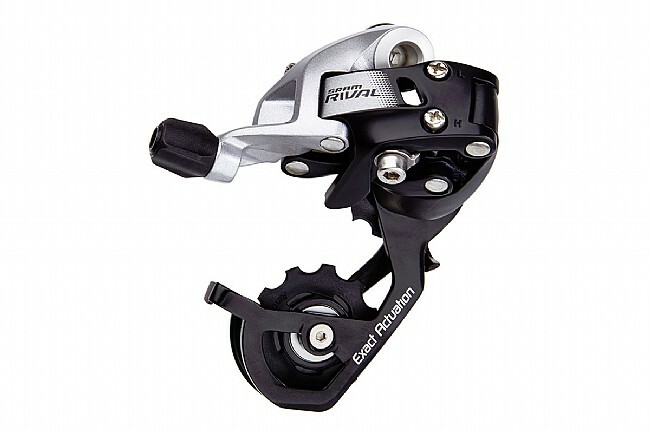 Epitomizing SRAM's trickle-down tendencies, the Rival 22 features AeroGlide Pulleys™ and Exact Actuation™ technology, resulting in a smooth and efficient shift experience.